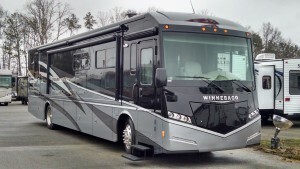 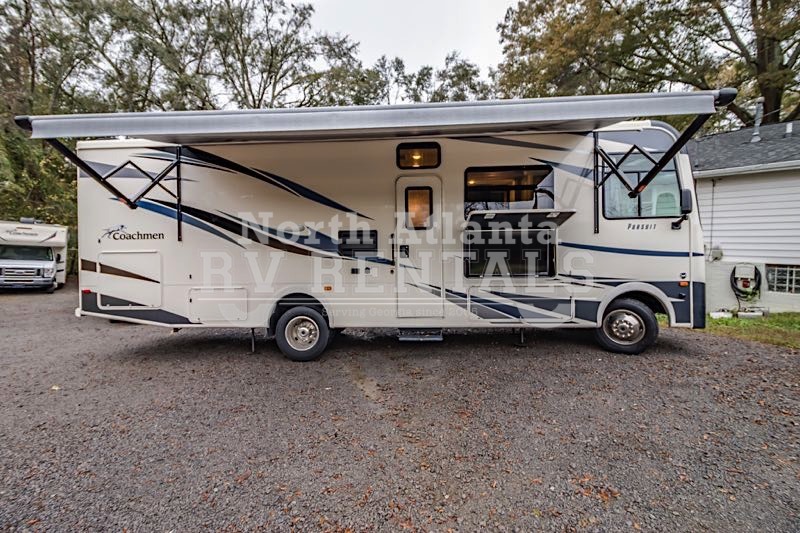 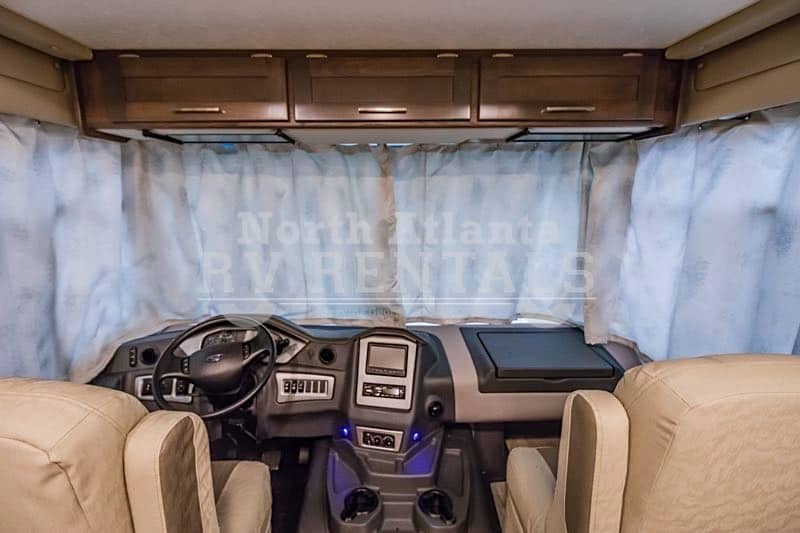 This motorhome is perfect for a family or friend group of up to sixindividuals. 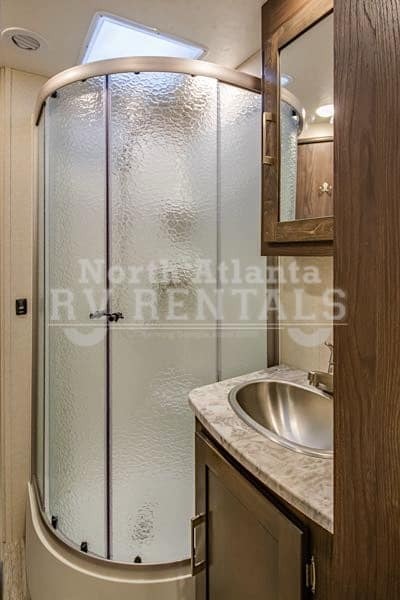 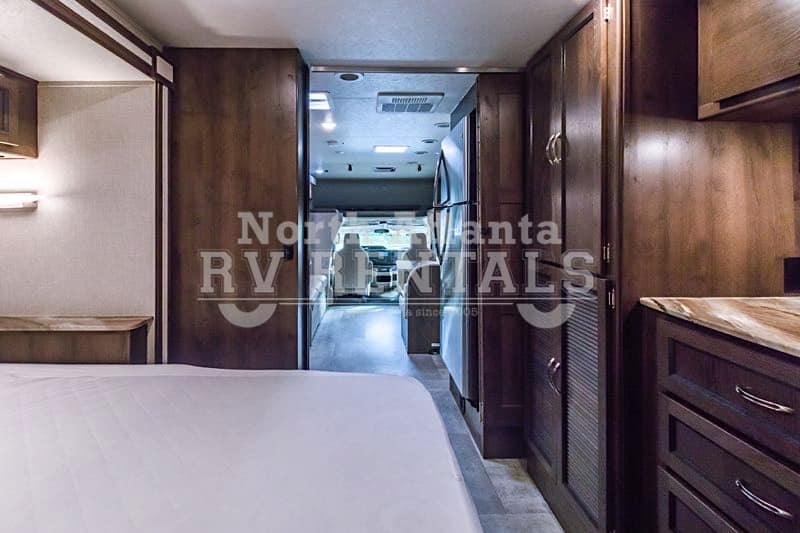 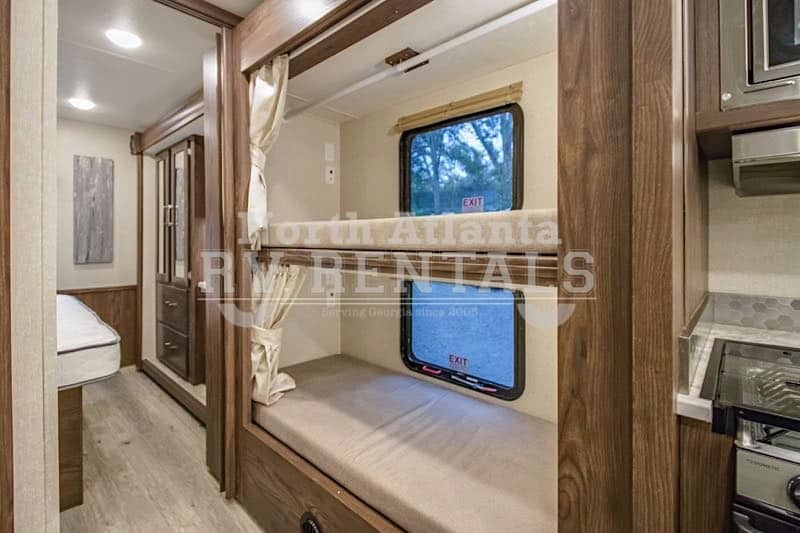 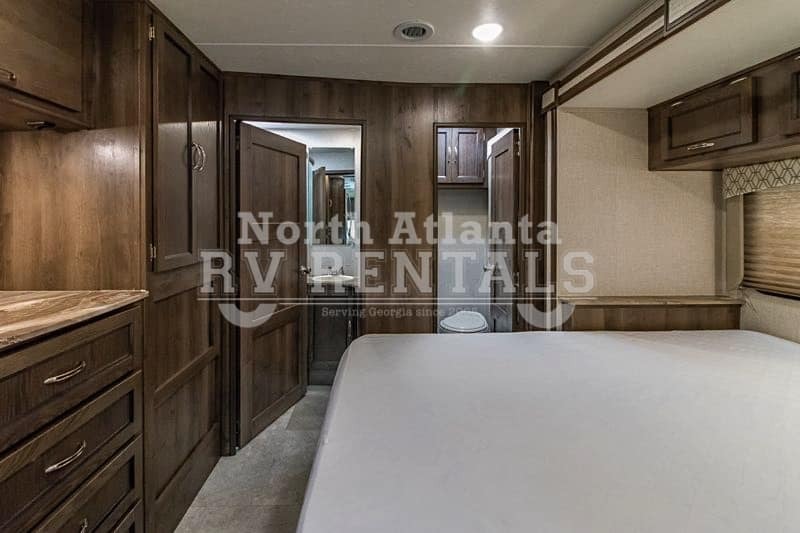 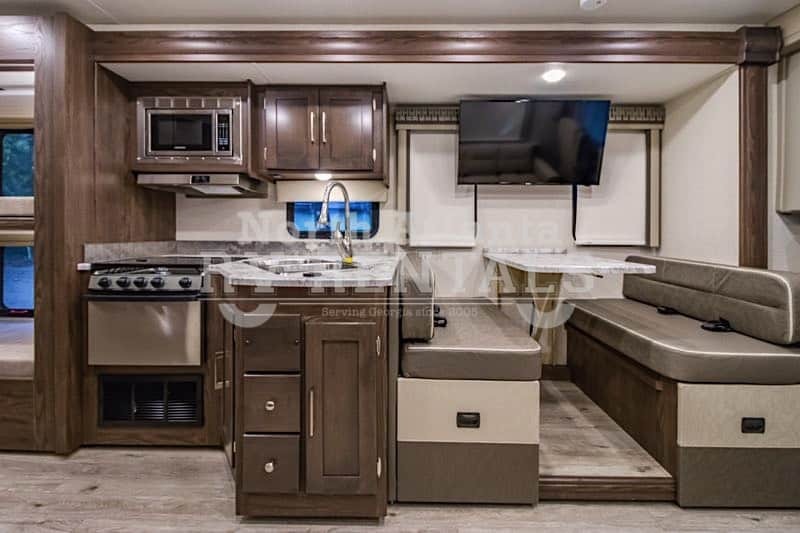 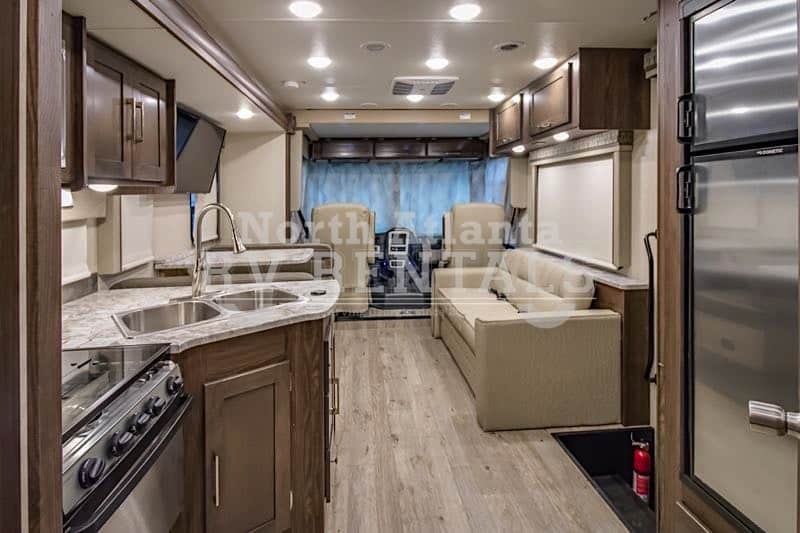 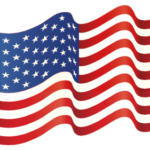 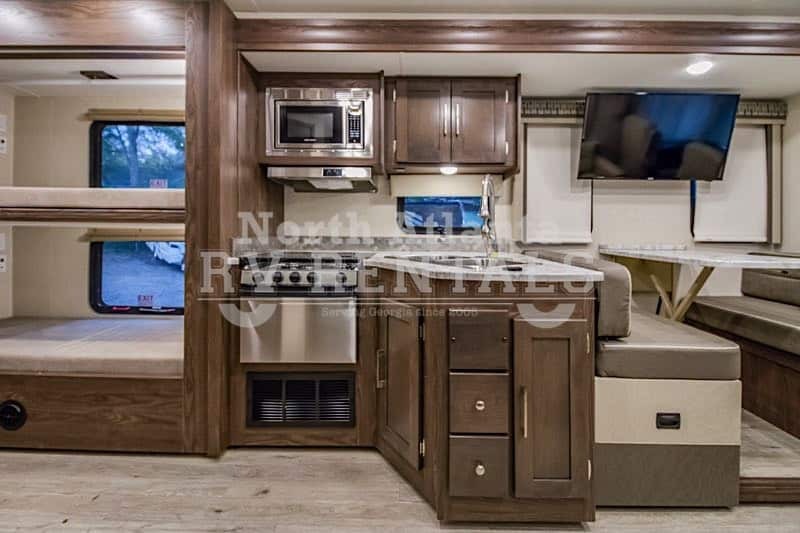 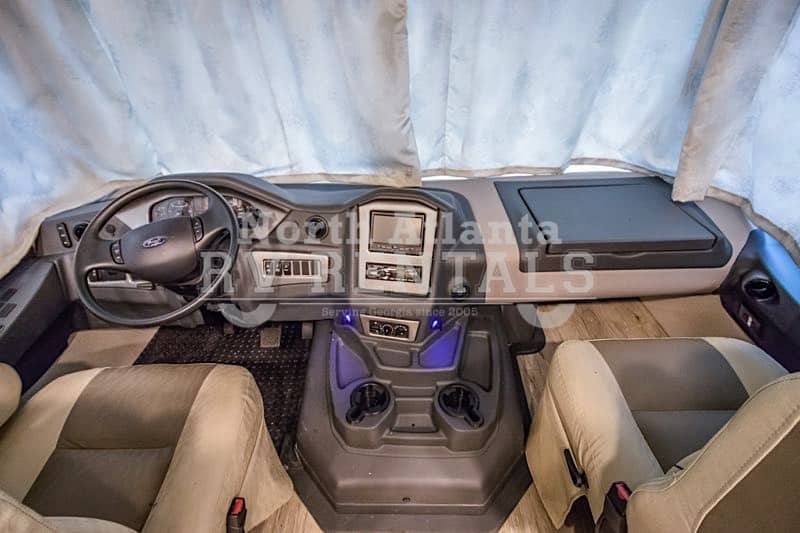 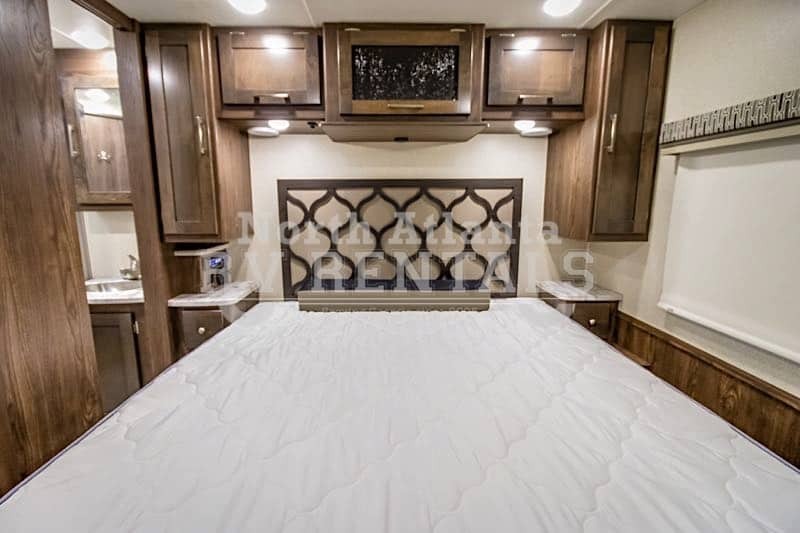 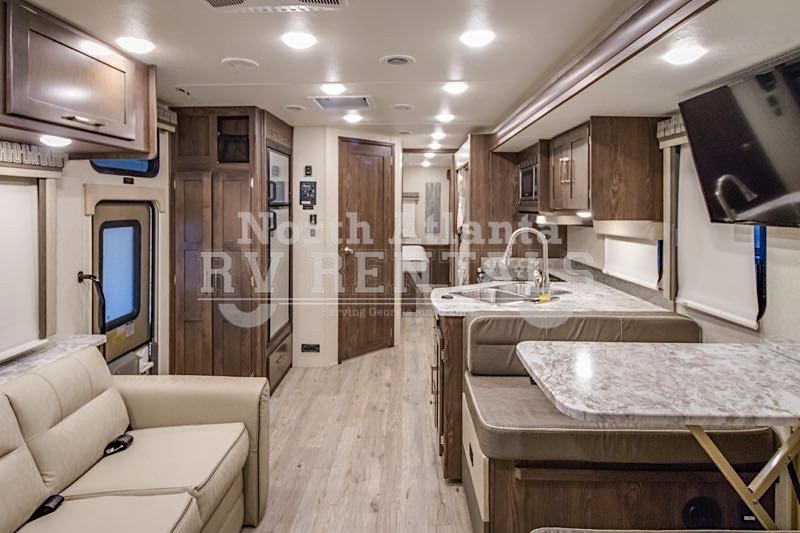 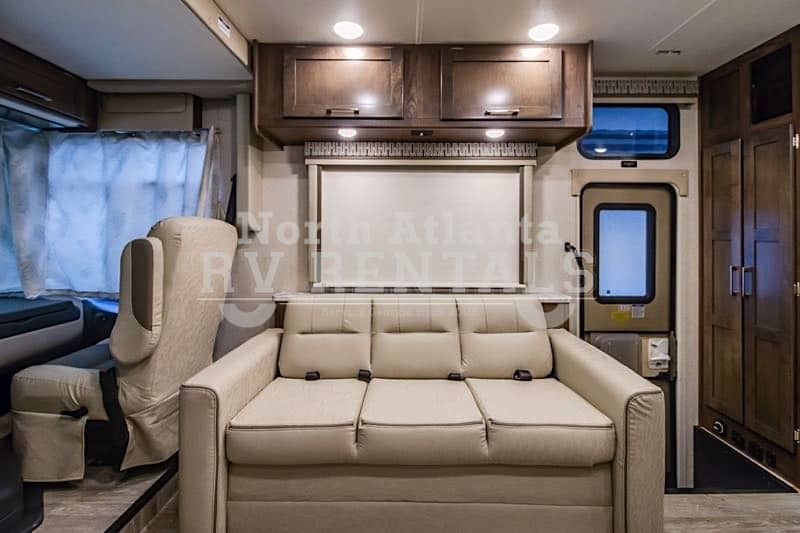 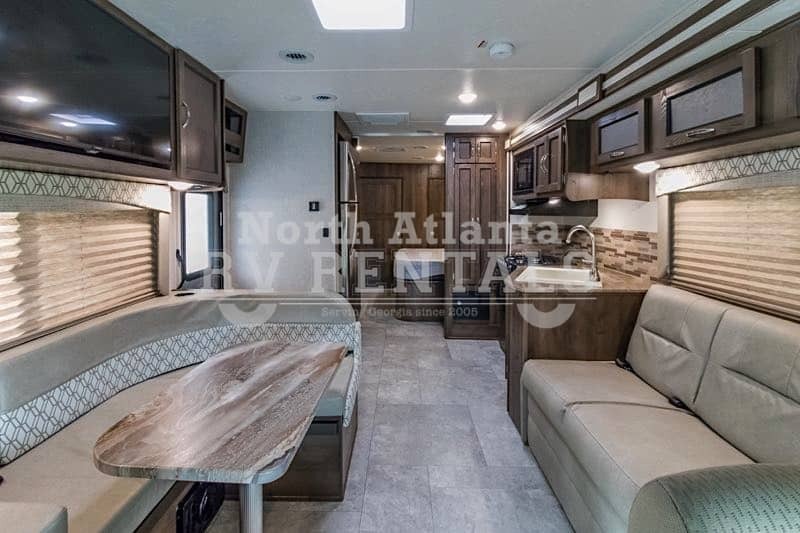 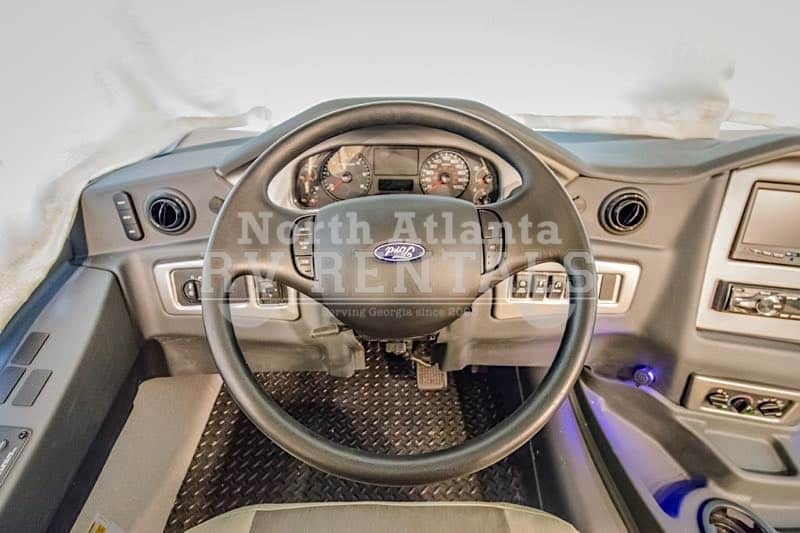 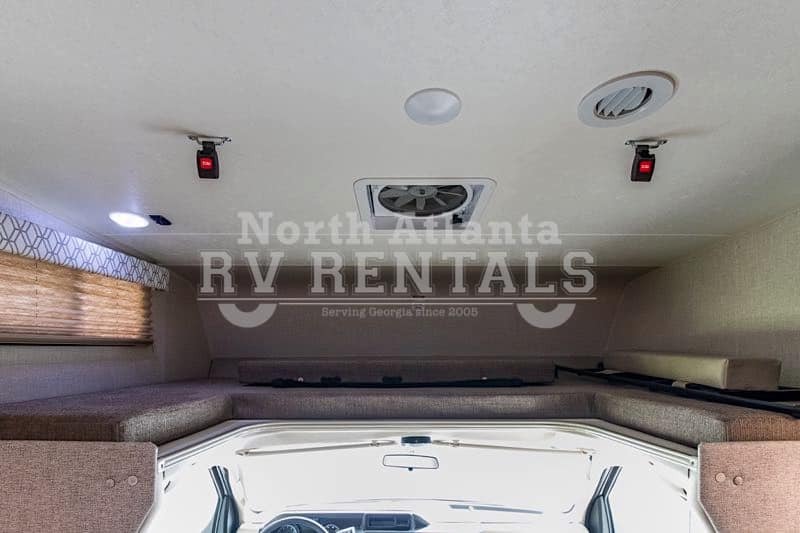 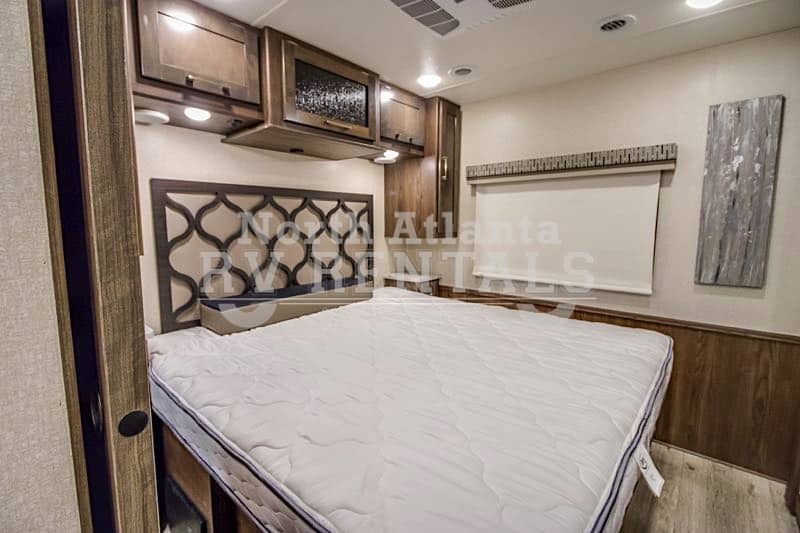 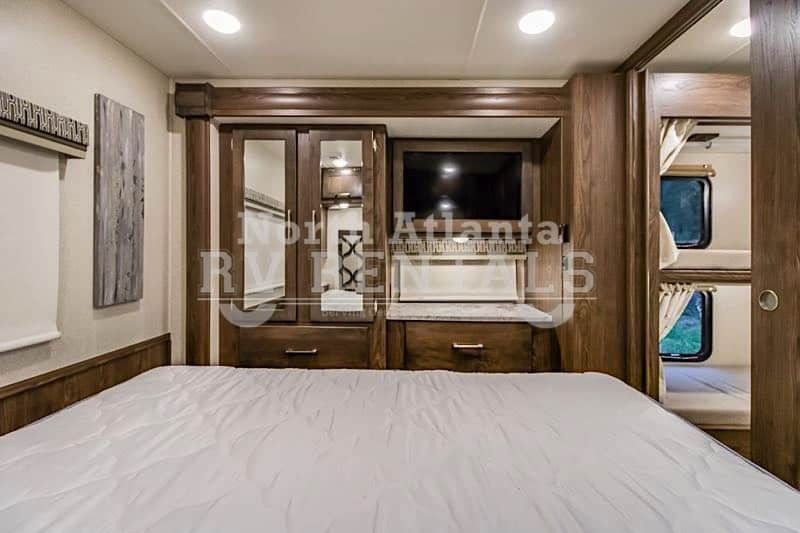 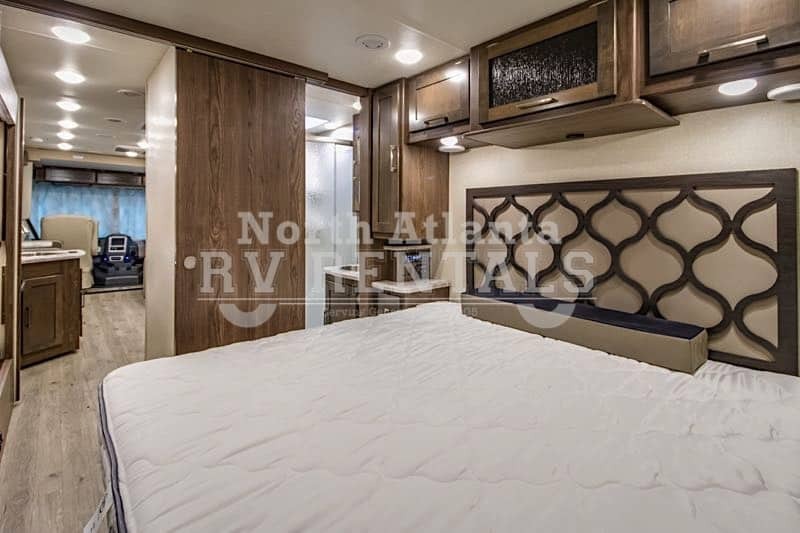 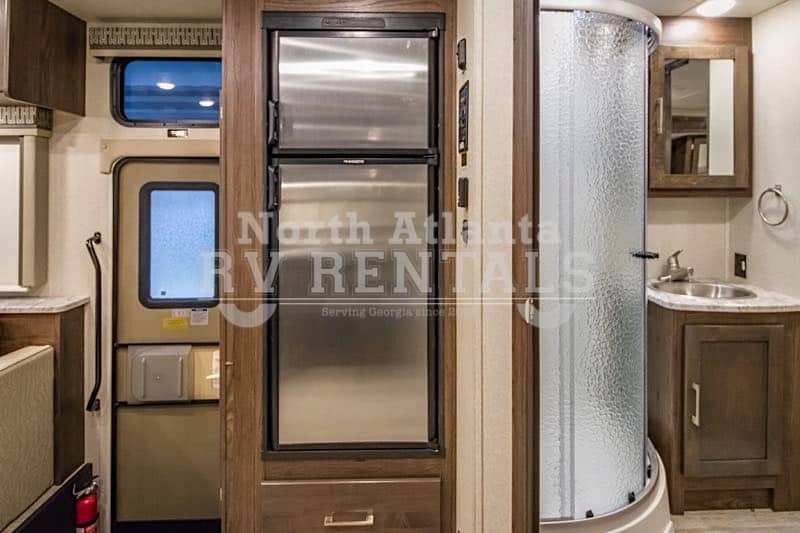 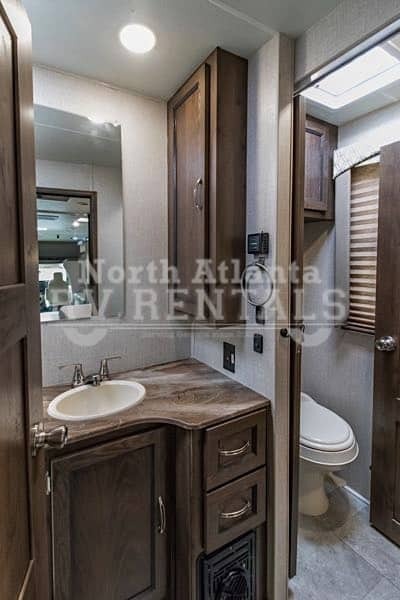 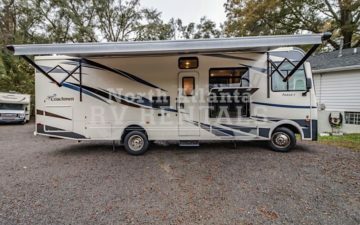 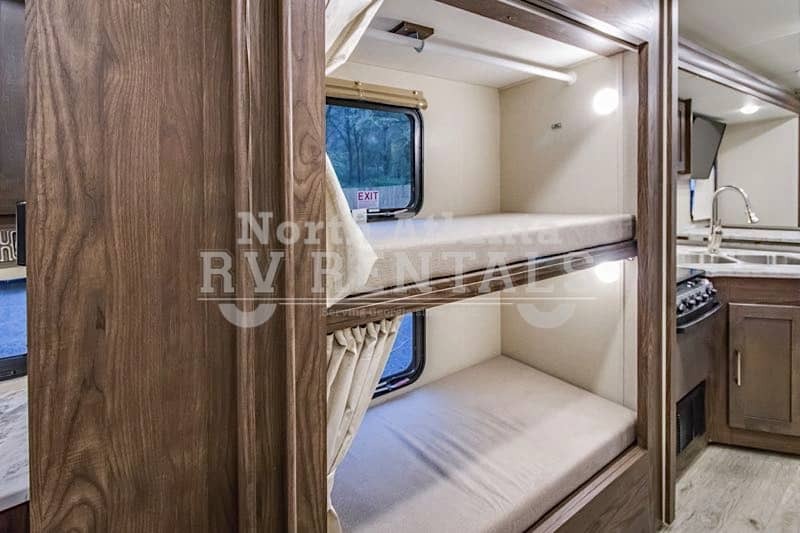 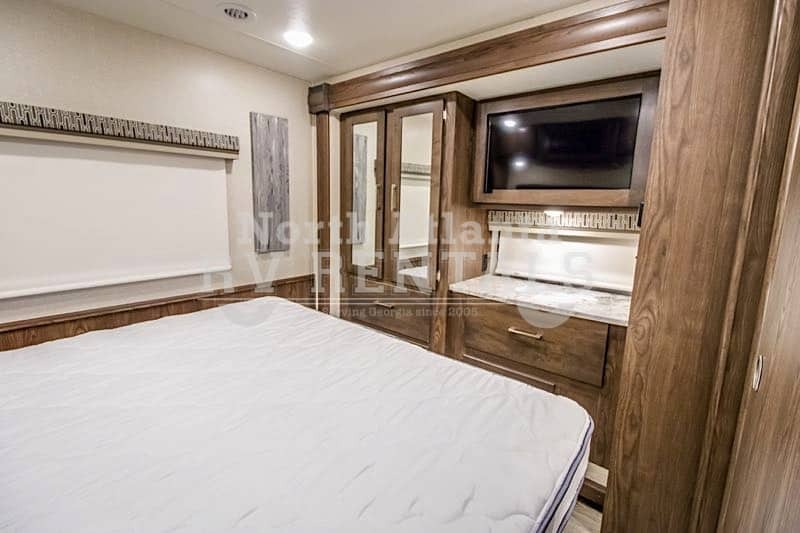 You have a king sized bed in the bedroom, a 68″ sofa with a bed, the dinette can fold down into a bed, a drop down bunk above the cab, and last but not least there is a 69″ x 28″ wardrobe that has a convertible bed in it. 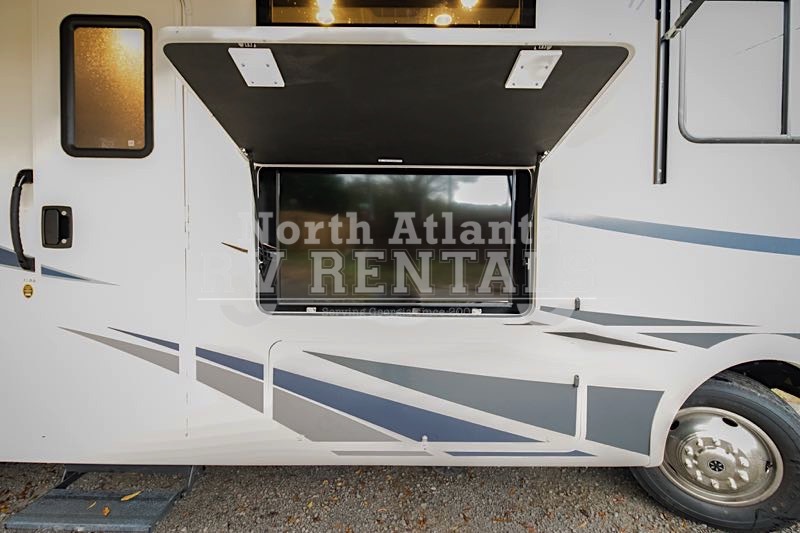 There are not only places for your family to sleep there are plenty of places for storing their things while you are away on vacation.